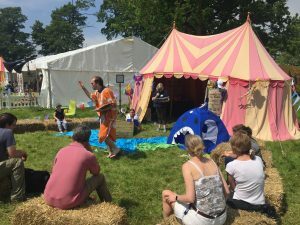 Our Schools team assisted Open the Book by storytelling to children at Big Church Day Out South on the 26th – 27th May 2018. The bank holiday weekend saw a mixture of weathers and although it rained during the evening both days were really sunny. Located in the ‘Field Of Fun’, (Kid’s Area) Nairne, Becky, Kerry, Lloyd, and some of our volunteers were telling many stories from the Bible in typical Open the Book style. They drew the crowds as the children could get involved in the stories and in some cases took a staring role! Julian, our Mission Director, was also on site volunteering for the artist liaison and transport team. His job was to transport performers across the site to the various stages. 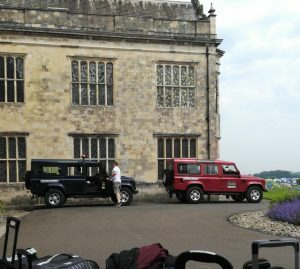 He was also very excited that he got to drive a Land Rover! It was such a blessing to be part of and support what was going on at this festival! You may see us back next year!